PICT. 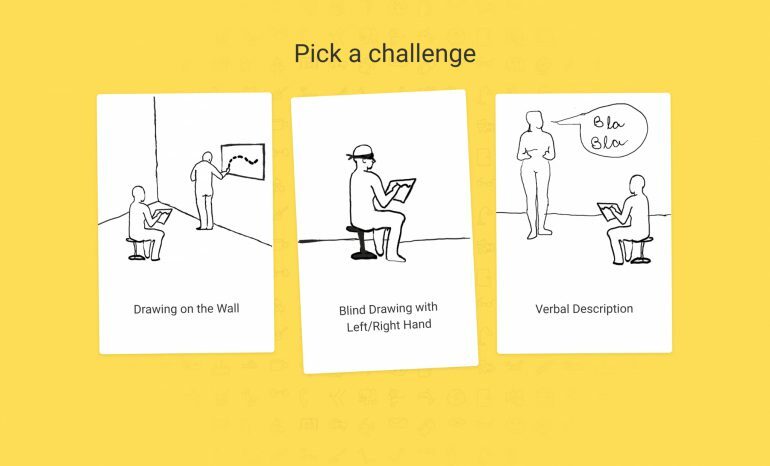 IO is a collaborative game for humans and machines based on the popular drawing game Pictionary. This game builds on Google’s’ experiment Quick, Draw, which uses a neural network to guess what you are drawing. In this game, each team is composed of two humans and one machine, communicating through drawings and speech, as they work together to solve challenges. The project aims at creating a situation in which the AI players are allowed and expected to make mistakes, just like human players. The introduction of mistakes is a stimulus for the game to be a fun experience, other than a showcasing of the machine’s technical ability.